Move in ready! 3 bedroom, 3 full bath home with a "cooks" kitchen with extended countertop space, gas range/oven, hardwood floors, island, pantry, & stainless steel appliances. Great room with fireplace. Large bedrooms with great closet space. Laundry room on the main level, no stairs to and from the laundry room! Oversized 3 car garage room for cars+all the toys/mowers/bicycles. Fenced backyard/covered deck off kitchen and dining area. 152 to Flintlock, West on 96th Street to N. Tullis. North to N. Tullis to 102nd Street, East to address. 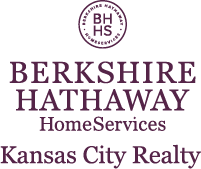 I am interested in 8210 NE 102 Street, Kansas City, MO 64157.